Residents and community groups from across Peterhead are being invited to suggest ideas and projects that will help improve the local area. Suggestions can be submitted up until Monday, January 14, 2019. Got an idea to tackle poverty & inequalities in your community? Applications open for Your Voice Your Choice 2. Everyone in the communities of Musselburgh, Old Craighall, Wallyford and Whitecraig over the age of 8 can vote. As part of our commitment to Participatory Budgeting, and to celebrate 2018 being the Year of Young People, £40,000 has been set aside for youth work projects across Angus. Applications for Joined Up for Integration’s ‘Voice Your Choice’ Participatory Budgeting opportunity are now open. The Gorbals Ideas Fund Community Panel is now accepting applications for their Summer Event! 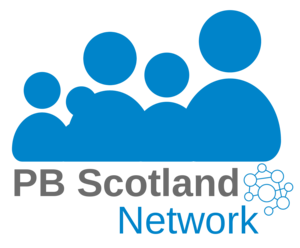 The Old Kirk and Muirhouse Parish Church PB event this Friday (30th March 18). Stirling Council is delighted to announce a fund of £130,000 open now to community groups to deliver activities that will improve their community - DEADLINE for applications is 16 March 2018. Residents in Tain and Easter Ross are being invited to apply for funds if they have an idea to help improve their local community. Calling all community groups, clubs and associations in Newton North, Prestwick, Heathfield, Monkton and Symington! Lochalsh local councillors have set aside a ‘pot’ of £10,000 – made up of £4,000 from the local Ward Discretionary Budget topped up with £6,000 of Scottish Government funding - and they want to put the community in control of how it is spent through a ‘Kyle Community Project – Let’s Decide!’ event. Whether you want to organise a dance for young people, a healthy living project, a crime prevention idea, a lunch club for older residents, a community arts project…the only limit is your imagination! Any local community, voluntary or non-profit organisation can apply for funding from £200 to £2,000 to put ideas into action. Only one bid is permitted per organisation and all activities will have to happen in the Kyle Community Council Area by Lochalsh based organisations and benefit local people. To apply for the funding you must return your completed form before the closing date on Friday February 16 2018. Inverness Central local councillors have set aside a ‘pot’ of £20,000 – made up of £10,000 from the local Ward Discretionary Budget topped up with £10,000 of Scottish Government funding - and they want to put the community in control of how it is spent through a ‘Building a Stronger Merkinch’ event. Any local community, voluntary or non-profit organisation can apply for funding from £200 to £2,500 to put ideas into action. Only one bid is permitted per section of an organisation and all activities will have to happen in the Merkinch Community Council Area and benefit local people. To apply for the funding you must return your completed form before the closing date on Friday 23 February 2018. Closing date for applications is Friday 16 February 2018. Help is at Hand with Maryhill Housing! Funding now available through Maryhill Housing. Kilwinning Locality Participatory Budgeting Event Saturday 3rd March 2018! New funding has been secured for Moray groups through the Scottish Government’s ‘Community Choices’ program. Sanctuary Housing have an opportunity for local organisations and groups to apply to a pot of funding of £29,000. Application are now open until 19th January 2018. Community groups based in Glasgow can apply for grants of between £100 and £5,000 to put on cultural events and arts activities in their own area before and during the Glasgow 2018 European Championships. Deadline for applications is 5pm on Monday 29th January. £EITH CHOOSES is an opportunity for people in Leith to decide, by voting, which local projects should receive some funding. Applications for funding are now open until 31st January.